"The Millrose Games at the Armory is not the Millrose Games. 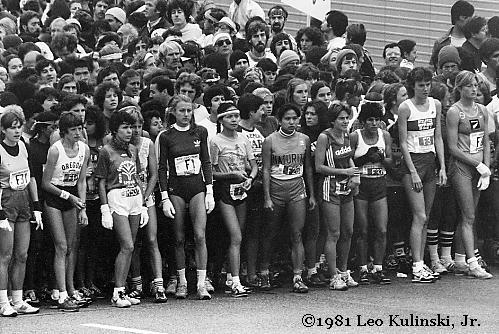 It's like having the New York City Marathon in Long Island or Iowa for that matter." - LetsRun.com co-founder Weldon Johnson writing after the shock news came out that the Armory Foundation owns the Millrose Games and will "move" Millrose to the Armory next year. 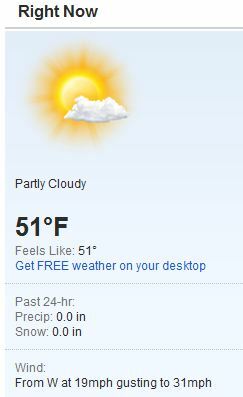 This would be akin to someone thinking the Masters golf tournament could be held anywhere but Augusta. An Absolute Must Read: Whatever Happened To Daniel Komen? Komen had the arguably the greatest 2-year stretch in distance running history and his 7:20 3k record is still untouched. Was it as simple as that he came from the backwoods and made more than he ever imagined? Despite Poor 200 Last Week, Asafa Powell Talking Very Big Prior To 100m Debut In Shanghai Last year, he opened with wind-assisted times of 9.75 and 9.81 and his coach says he's in even better shape this year. *Update On Sunday's Diamond League Start List In Shanghai Ben Bruce and Steve Slattery in the steeple, Heather Dorniden in the 800. 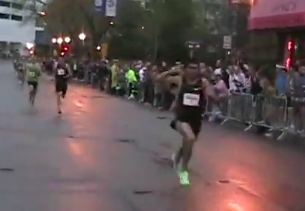 After Ryan Hall Leads Early, David Torrence 3-Peats As Sara Hall Wins Women's Marathoner Ryan Hall went straight to lead for the first 400m but faded to a 4:17 DFL finish as David Torrence put on a show over the final 300 meters and obliterated the field and won handily as he got to enjoy (see the photo on the left) his 3rd straight title. Ryan's wife, Sara Hall, was patient early as Amy Mortimer got a big early lead, and her patience resulted in the women's title and $14,000 thanks to her 4:30.8, as Mortimer faded to 5th over the final few meters. MB: David Torrence Said He "Cemented Himself In History"
*Recommended Read: 3rd Placer & Former Minnesotra Star Gabriele Anderson Coming Back From 2nd Cancer Diagnosis In 1.5 Years We wish her the best in her medical battle. *SEC Day 2 Recap From Georgia: Host Lady Bulldogs Have Good Day 31:27 somehow scores in the men's 10k. *Arkansas Men Remember Last Year's Embarrassing 7th Place Finish Their star Ulrey was red-shirted so they could be a force this year. D-day has arrived. *Florida Men Hoping To Repeat; Women Want 2nd Title In 3 Years On the men's side, Mike Holloway is expecing a 4-way battle between UF, Arkansas, Georgia and LSU. *Texas A&M's Dan Waters Named Director Of T&F For Alabama *MB: *Dan Waters will be the next University of Alabama- Director of Track and Field *Who replaces Waters at Texas A&M?????????? *Day 1 Recap Of PAC-10s: Duck Man And Women Score Big In Steeple And Poised To Score Big In Rest Of Meet Finley won the men's steeple in 9:04. *Recommended Read: A Look At Arizona's Amazing Kenyans In Lawi Lalang & Stephen Sambu A monthly reminder - Kenyans are people too. *Oregon Men Will Have A Tough Time Trying To Win Their 5th Straight PAC-10 Title Vin Lananna: "... it will be a tough battle. It's not going to be about the first places, necessarily. It's going to be about the sevenths and the eighths." *Matthew Centrowitz Looking For A Three-Peat In The PAC-10 1,500 But Says The Team Title Comes First "I don't know what second is at PAC-10s. It's a legacy that the guys before me left, and it's something I would like to continue." *Day 1 Recap The OU and Colorado men took all of the top 9 spots in the men's 10k as CU put 4 at 29:30 or better as the two-time defending xc champs Oklahoma State had zero scorers. 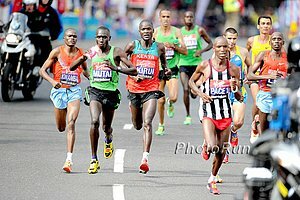 *Big 10 Men's Outdoor Preview *Host Iowa Men Considert Themselves To Be "Underdog Contenders"
*Brief Chat With 2010 NCAA Steeple Champ Matt Hughes, Who Will Be Looking To Defend His Title He talks about his plans to try to make the Canadian World Champs team and how he used to be a hockey player. *Kaila McKnight Gets "A" Qualifier With New 4:05.65 PR In Daegu She's now #4 all-time in Australia thanks to her 3-second PR. 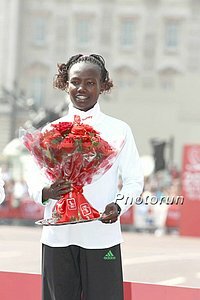 LRC The Week That Was This week we analyze the amazing 3,000 from Doha, which shows you in a weird way why Chris Solinsky might have a chance for a medal in the Olympics, talk about Asbel Kiprop moving up to the 5k, give props to Japanese marathoners and along the way talk about Julia Lucas, Sally Kipyego, Andrew Wheating and a conspiracy theory involving Nick Symmonds. Why You Shouldn't Celebrate In A Close Race: HS 4 X 8 Loses By .0028 Of A Second The tech guy says he thinks she would have won if she hadn't held her hands up because that threw her shoulders back and it's all about when your torso crosses the line. 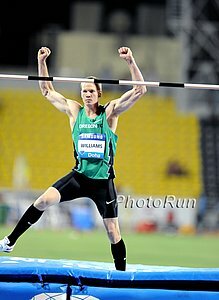 *Oslo Diamond League Meet: World Indoor Champ Ivan Ukhov Headlines A Very Competitive HJ Field also includes World outdoor champ Yaroslav Ryabakov and Olympic champ Andrey Silnov. All have jumped 2.38m or better, with Ukhov getting very close to the WR indoors. Greek Sprint Pair Found Guilty Of Perjury As Judge Says, "The crash never happened." Kostas Kenteris and Katerina Thanou were found guilty of perjury for lying about a motorcyle accident so they could avoid a drug test at the 2004 Olympic Games. Simon Turnbull: At Last, Justice Catches Up With Greek Sprint Cheats After the verdict, Kenteris' lawyer said, "I am ashamed for my country." Considering the missed test in question was "the 3rd drug test the pair had missed in 17 days" and "on the day they left hospital police raided the premises of their coach and discovered 30 boxes of anabolic steroids and 1,400 boxes of supplements containing the banned stimulant ephedrine," we are ashamed for the lawyer. 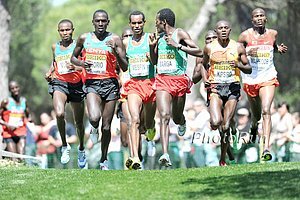 Interesting Fact: Matthew Kisorio, Peter Kimeli And Nicholas Kipchirchir Togom All Are Sons Of Kenya's 1st World Cross-Country Medallist The late Some Muge won World XC bronze in 1983 and his 3 sons now all run for Kenya, as Togom will run for Kenya in the African junior champs, which start Thursday and run through Sunday. Lukas Verzbicas Will Do World Junior Triathlon In Beijing In September To Honor His Triathlon Friend Who Has Cancer It'll be interesting to see how that fits in with his freshman XC season at Oregon. Jamaica's 400 Hurdler Danny McFarlane Is Almost 39 Years Old, But Still Going Strong And Looking To Break Record For The Most World Champs Appearances He's currently tied the record at 9 and shooting for a 10th. Even though he has won multiple Olympic medals, he still isn't satisfied and aspires to a World Champs individual title. Say It Ain't So ... RIP Millrose? Sad, Sad Day: It's Official - Millrose Games RIP ... "Millrose" To The Armory Next year, the great event formerly known as the Millrose Games will be held not at Madison Square Garden but at the Armory. They can call it what they want, but in our opinion, it's not the Millrose Games. Wejo: "The Millrose Games at the Armory is not the Millrose Games. It's like having the New York City Marathon in Long Island or Iowa for that matter." *NY Daily News: Millrose On The Move To say Millrose is on the move would be like saying a horse race in May at a random track not named Churchill Downs was the Kentucky Derby. We don't get why they don't just say Millrose is gone - we're having another random meet at the Armory instead. *AP Article: Millrose Games moving uptown to Armory We disagree. A random track meet will take place at the Armory. 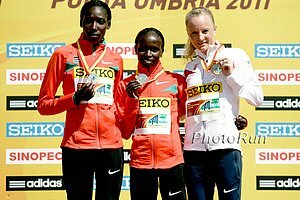 Depressing Result: Olympic 800m Champ Pamela Jelimo Only Clocks 27.7 For 200m In Kenya Jelimo she's not ready for the 800 yet and the 27.7, which in the past might have been her opening 200 split in an 800, shows it. Jelimo may have been able to run faster, but the 200 was run at the wrong time so she wasn't totally ready. 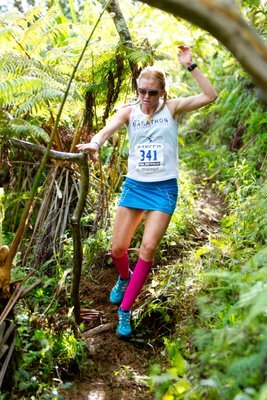 More Saturday: US 25km Champs Are This Weekend: Andrew Carlson To Try To Defend Title Colleen De Reuck leads the women's field at age 47. *Watch Live On Saturday Morning At 8:20 AM EST. Sunday: Meb Running 100th Zazzle Bay To Breakers This Weekend Congrats to Bay to Breakers for turning 100. We had thought of going to this race to see what the party and 100 years is about but didn't realize it was this weekend. Tyson Gay Says Injuries Are What Has Been Keeping Him From Beating Usain Bolt: "I am my own biggest rival." More: "Deep down, do I feel if I'm 100% I can beat Usain Bolt? Yeah, I do. But I haven't ever been fully fit yet [since Bolt's first world record in 2008]. Not since 2006 I haven't had one year when I've been totally fit." Gay Struggling With Injuries Prior To Run And Calls Sunday a "Faith" Run A hip abductor injury has limited America's best to just a few days of training over the last 4 weeks and as a result he says, "I don't have expectations." He's at 80% fitness, he says. Tyson Gay: "I'm Not in 14.3 Shape." With Paula Radcliffe Out, Haile Gebrselassie To Star In Manchester The day in Athletics is so strong the BBC is devoting 5 hours of coverage to it. A Preview Of Sunday's Manchester Great Day Of Sport The event will feature Haile G in a road race, Tyson Gay in a 150m, and a world champion in an open water swim. Recommended Read: BBC Correspondent Shockingly Finds That Phillips Idowu And Teddy Tamgho Are Actually Very Much Alike Tamgho says he's is a showman on the runway only but tranquil off it, as "without the pressure, I can't jump." 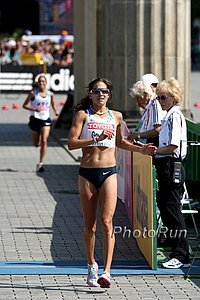 Bridget Franek Hitting Stride In First Year As Pro While Training With OTC The article reveals that Franek was NCAA Champ at Penn State while running only 45-50 mpw. Lukas Verzbicas Will Run 2-Mile At Pre Classic We just wish a few more of his professional counterparts would step up like he is and run in the men's 10k. Former SAfrican Track Boss Leonard Chuene Concerned For Safety After His Property Is Damaged He also thinks he's being followed. Puerto Rico's Javier Culson Headlines This Weekend's Puerto Rico Meet The 2009 WChamps silver medallist set a SB last year at home. Lots of pretty big names in the sprint action, including drug cheat Justin Gatlin. 200 World Leader Nickel Ashmeade To Run 100m In New York Meanwhile, he'll already run the 100m in Puerto Rico this weekend. 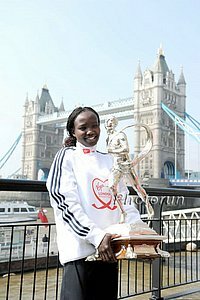 Watch Out, Haile G & Paula Radcliffe Kenya's Fastest Marathoners, Geoffrey Mutai & Mary Keitany Will Both Skip World Champs And Focus On Setting WRs Instead Keitany: "I may not be an authority in marathon races, but I believe the two races I have competed in are enough to enable me attempt to break the world record. My manager is looking for a race, presumably a flat one where I can make this attempt." 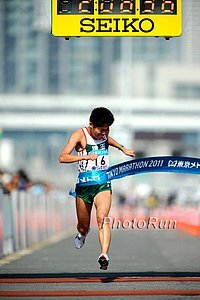 Many Japanese Ekiden Team Members Finding Training Difficult In The Wake Of The Natural Disasters Some in the general public have said this isn't a time for them to be racing, but Tomohiro Shiiya says, "I love running. I still want to test myself and see how far I can go." Writer Says Yohan Blake Should Be Added To List With Tyson Gay And Asafa Powell As Those Who Could Challenge Usain Bolt The article complains that Yohan Blake hasn't been getting more media attention after running his world-leading 9.80, but the reason for that is his time was not wind-legal. Not to mention Blake failed a drug test when he was only 18. Dean Karzanes Completes Run Across America In 75 Days It's hard to not make fun of Dean for being a PR hound, but the guy averaged between 40 and 50 miles per day. AP: Usain Bolt's Agent Says He Is Very Ready For 2011 As "Everything has gone very, very well over the winter." Apparently, some were worried Bolt was behind on his training, as he hasn't competed this year, but that's not the case according to Ricky Simms. Italy's Top Long Jumper Andrew Howe Raises Eyebrows With European-Leading 45.70 400m Run People seem to be forgetting that long jumpers are almost always really fast and in this case, Howe is a former world junior champ at 200m who has 200m PR of 20.28 from 2004. Recommended Read: Oregon's David Klech, Who Was Once Confined To A Wheelchair As A Result Of Guillain-Barre Syndrome, Gets 2nd In 2nd-Ever Decathlon A great story for the 5th year guy. Runners With 33 All-American Honors Are On Sidelines Due To Injuries At Oregon A coach's first duty is to "do no harm." *Princeton Men Win Ivy League Title In what was an extremely close meet, Princeton ended Cornell's unprecedented 8-year winning streak winning by 11 pts, 197 to 186. First Gaza Marathon Held The race had a bunch of kids running relays, but only 9 people in the full marathon. How about this quote: "The people find it strange - if they see someone running, they think they are crazy. 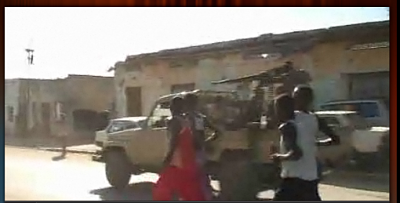 Usually Palestinians only run when there are air strikes or when they are frightened." 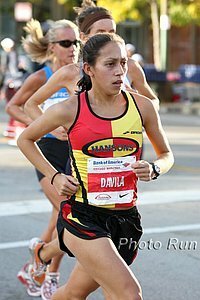 LRC Spring Marathon Contest Recap: The Greatness Of You One of our favorite things at LetsRun.com is recapping our prediction contest because we get to highlight you - the interesting people who make our site so successful. 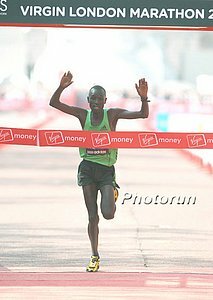 Our Boston and London Marathon prediction contest was no different, as the winners include a guy who is currently making a film on Kenyan distance runners, "The Greatest Distance Runners On Earth," a guy whose college buddies bet him he couldn't finish a marathon and he ended up running 2:43 on 18 weeks of training, and a guy who was coached in high school by a guy who lived at one time at the LetsRun.com headquarters (proving that three degrees of separation exist in the running world). LRC The Greatness Of You, Continued - And A Thank You As little LetsRun.com keeps getting bigger and bigger, running laps around the competition, and starts decade #2 dreaming of a million unique monthly visitors, we just wanted to take a minute to thank you - our loyal visitor. Plus, if you've got any suggestions for decade #2 of LetsRun.com, we want to hear them. 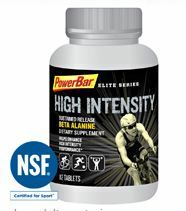 Our goal has never been to be the biggest, but the best - and to do that, we need your feedback. USATF Profile On Wings Of America XC Club The Club is coached by coached by former NAU runner Shaun Martin, brother of twin NCAA XC All-Americans Tim and Theo, and literally is saving lives. Documentary Trailer on the club below.